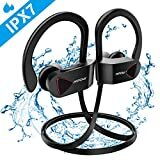 [ IPX7 Waterproof Earphones ] Water-resistant Nano-coating efficiently protects sport headphones from sweat and ensures more guaranteed life span.Mpow Flame sport headphone supports strenuous workouts and all weather conditions. Mpow sport earphones perfect for running, cycling, hiking, yoga, exercises, gym, fitness, travelling, etc. 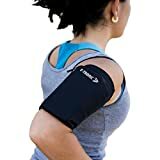 [ Get HD Sound in Your Workout Time ] Adopting latest Bluetooth 4.1 + technology, CSR chip and superior acoustic components, Mpow Flame Sport Headphone features Rich-Bass stereo sound and provides a multilevel listening enjoyment. If you are used to flat sound, you may want to purchase other option. Or maybe it is time to explore something new. [ Enhanced Comfort & Wearability ] 1.Proper hardness and Ergonomic-design ear hooks 2. Additionally comes with a pair of memory-foam ear tips, a cord clip, 3 pairs of regular ear tips in different sizes for your custom fit. 3. Suitable for normal size ears. 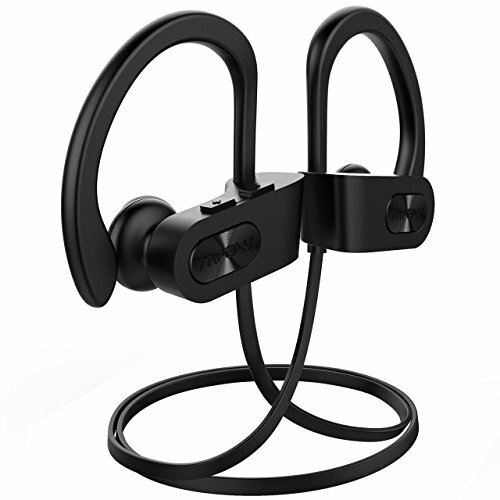 [ 1.5-Hour Quick Charge for 10 Hours Playing ] Mpow wireless headphones Adopts quick charging technology,Mpow Flame gives you 1 hour music enjoyment with only 10-min charging. It brings up to 9 hours pleasure with a quick charge of only 1.5 hours. Thanks to the advanced Nano-coating, Mpow sports earbuds keeps the headphones protected and in peak condition whether you're getting drenched in sweat after a grueling workout. 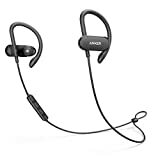 Mpow Bluetooth sport headphones ergonomic and flexible in-ear design, soft silicone over-ear hooks, and memory ear tips brings secure fit without hurting your ear, enables comfortable wearing experience without falling out. Drawing on extensive research and development, Mpow sport headphones features stereo sound with high definition and unparalleled rock-solid bass. Let your favorite songs drive you forward with Mpow. Mpow Bluetooth earphones come with an EVA carrying bag with cushioned interior which allows you to store your Mpow sport earbuds with complete confidence. Say goodbye to scratches or no scrapes in your training routine.